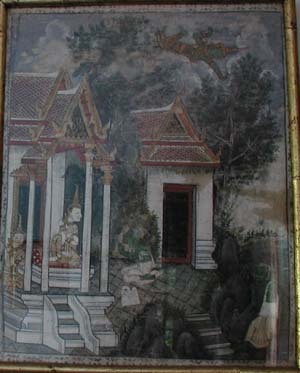 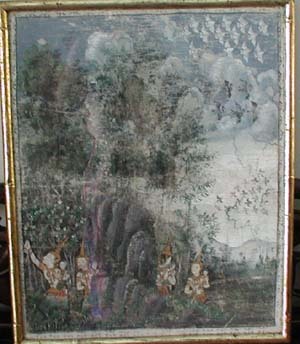 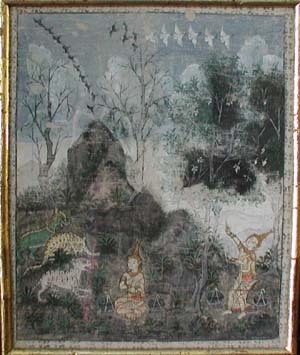 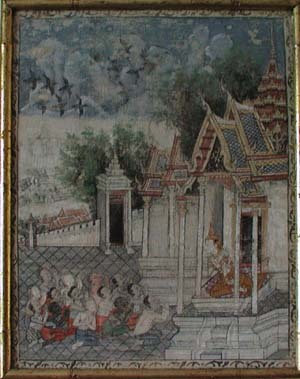 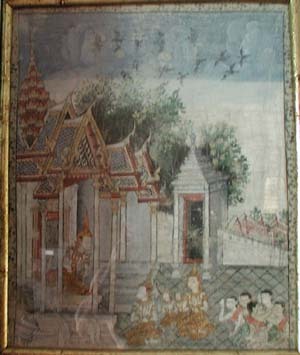 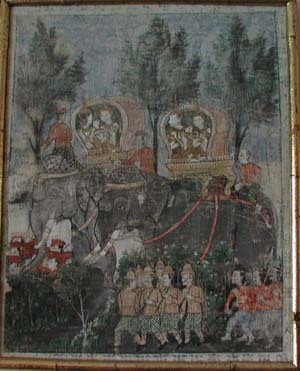 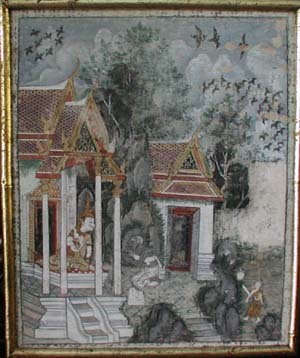 Paintings on cloth in the Ratanakosin period were commonly displayed in wat or Temples. 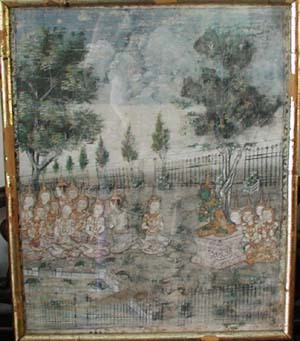 Many, like the ten pictures first shown, depict previous lives of the Lord Buddha. 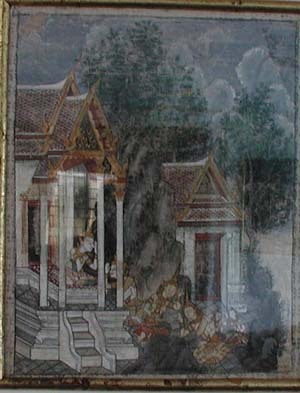 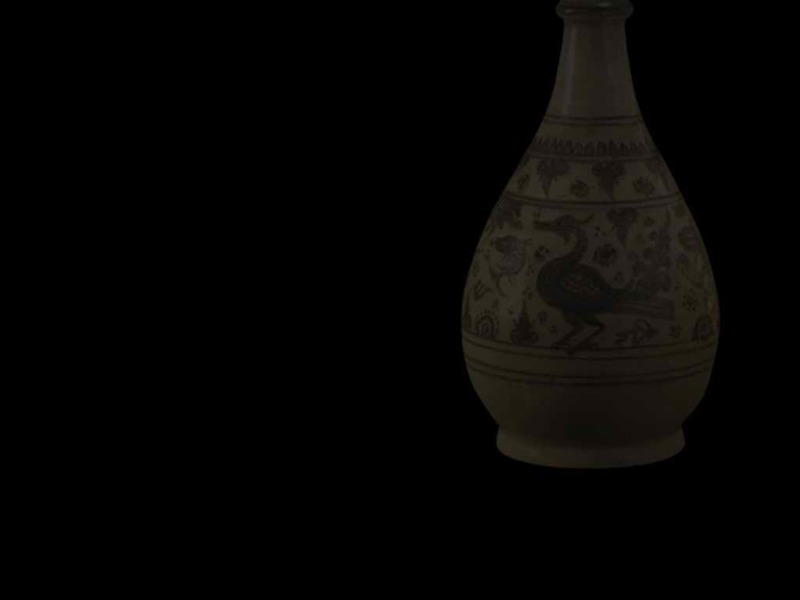 The 17 illuminated manuscripts are fragments from Ratanakosin period dhama scriptures.